The lights are on at Pradella's Light+Co. apartments in West End, as the first residents move in following completion of the dual tower project. Light+Co. has been developed on the iconic riverside site of the old South Brisbane Gas and Light Company, which was built in 1885 to deliver gas lighting to Brisbane's rapidly expanding population. Fast forward just over 130 years and, standing alongside Davies Park and a new retail, dining, health and fitness precinct, is Light+Co's two residential buildings. The two towers – Illuminate and Radiance –are home to 228 one, two and three bedroom luxury apartments with a range of floor plans available to suit different purchasers. A limited number of apartments remain for sale priced from $420,000. Located on Montague Road, Light+Co bridges the past with the present and honours the site’s heritage and character. Light+Co. 's architecture is inspired by the site's industrial past, with rustic brick and corrugated metalwork framing 4,500 square metres of contemporary tropical gardens, including the Reservoir resort pool with an expansive deck and pavilions along with a residents' lounge and function room. Even the definitive circular rock carve-outs for the old gasholders provide practical design inspiration. Shade spills across gleaming BBQ facilities and elegant entertainment areas. Its distinctive yet effortless style set in a palette of colours where everything old is new again. Pradella Director Kim Pradella said the completion of Light+Co. is the culmination of a 18 month construction program and the start of a new legacy for Brisbane's eclectic West End district. Mr Pradella says West End is a core focus for the developer, builder and property management group, having invested significantly in the region over the years. "Light+Co. is a fusion of West End's past and present, and a landmark for its future," he said. “West End offers plentiful opportunities for developers due to its proximity to the city and appealing lifestyle offering. “It is the perfect location for easy access to the CBD, making it highly appealing to Brisbane’s urban professionals and young families. "Mr Pradella says his personal connection to West End’s history meant he was committed to ensuring the Brisbane Gas & Light Company’s legacy was retained in the design of the new development. “Having grown up in West End with my family, I have seen the area flourish and expand over the years while still maintaining its connection to the past, as well as its community feel,” he said. "The river is just a short walk away and is fronted by kilometres of walking and cycling trails, and there's an Aldi Supermarket next door along with a number of gymnasiums and health and wellness stores nearby. "Light+Co. 's location really takes advantage of all West End has to offer. "It's been exciting to watch this community take shape over the past year and now I am looking forward to seeing the new residents settle into their homes ahead of Christmas. "Mr Pradella said Pradella Group remains active in the West End area, following the recent completion of its The Gardens community, which is also located on Duncan Street. 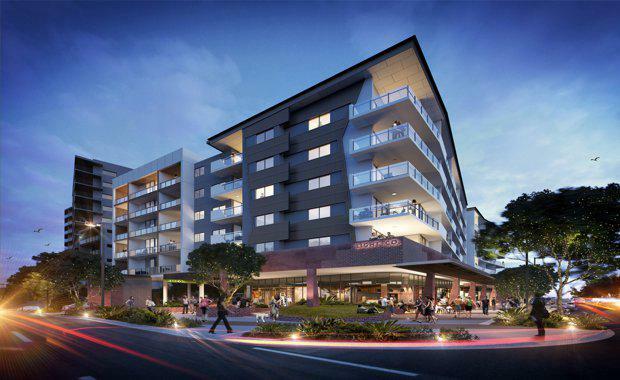 "Pradella has great confidence in West End as it is one of Brisbane's most transformative suburbs, with a distinct character which appeals to a wide range of people from young professionals right through to retirees," he said. "Residents at Light+Co. will be able to move in and immediately take advantage of on-site facilities as well as the plethora of popular bars, cafes and restaurants lining Montague Road. Light+Co. is located at 321 Montague Road West End, less than two kilometres to the Brisbane CBD.